I’ve decided to take my obsession to the next level my wonderful geeks. For the last few weeks I have been working on designs for my new clothing and apparel line called Geekoverse. The idea and inspiration for Geekoverse came from different people at different times. As I continued hearing similar suggestions to create some designs for apparel from different people I finally decided to listen to the universe, she tends to know what she’s talking about. Also, if you want any of these images as a computer wallpaper, to blog about or to flatter me, email me at girlgonegeekblog@gmail.com and I’ll email you a high res file. There are several reasons I chose to have a shop on Cafepress. I’m a student and therefore making student money and I decided to wait to see the (hopeful) success of Geekoverse before I started investing in items to create and ship the products myself. It took me a while to decide on a name. I wanted the name to encompass everything geeky that I like. Since I like a great deal of things in the geek universe (anime, comics, games, literature, the genre’s, etc.) Geekoverse just popped in my head and felt right. I have a laundry list of ideas that keeps growing almost daily so the Geekoverse will be constantly growing so always check back every now and then for new designs. I made all the designs as gender neutral as possible because I want these to be available to anyone. Below I’ll explain a few of my favorite designs check out the rest here. I wouldn’t call myself a graphic designer but someone who happens to create some designs that are in the graphic medium. I created the Geekoverse logo (top of the page and below) which I’m very proud of. 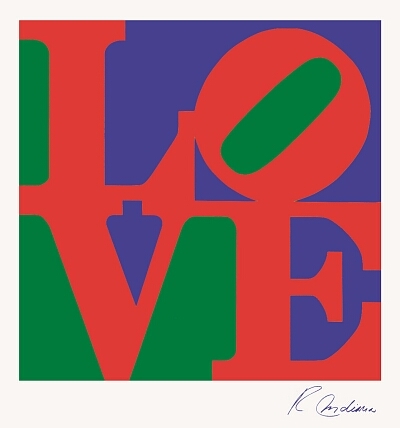 This is my favorite design a Lord of the Rings take on Robert Indiana’s famous LOVE piece. LOTR fans should instantly recognize the abbreviation. Although although it looks like all I did was change the VE to TR I actually had to redo the whole piece and it took a lot of editing to get the TR to aesthetically work. I knew I wanted to do a remix of the iconic Beatles t-shirt John & Paul & George & Ringo seen here. I searched my mind for four recognizable names and since I’ve been on a major Doctor Who binge I thought of the four companions would fit perfectly! I couldn’t live with myself if I did a “The cake is a lie.” shirt, they are a dime a dozen in the gaming community and I think my gamer brother would disown me. But being a big fan of Portal I had to create at least one shirt.I doubt that’s what kind of cake Queen Marie Antoinette was talking about. I never get tired of hearing people say this in Doctor Who and I doubt the doctor will either. Maybe one day I will get to say it… a girl can dream right? NYC is my home and I wanted to do an interesting geek related shirt with the iconic I heart NY design. Well I heart DW and his nifty two hearts! Although I miss Tennant dearly I’m becoming very fond of Matt Smith and his cool bow tie and fez. GERONIMO! I have a special obsession with Alice and the inhabitants of Wonderland and this is one of my favorite Hatter sayings. Just got two items from the site! WhooHoo! These are fantastic! I am so going to get some of your gear! You’re my kind of people lol!